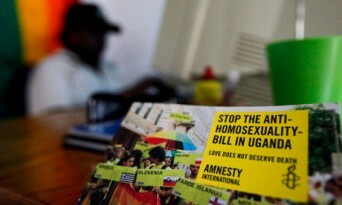 On December 27, the United Nations human rights office called on the President of Uganda to refrain from signing the Anti-Homosexuality Bill into law, and urged the country to ensure the protection of lesbian, gay, bisexual and transgender (LGBT) people from violence and discrimination. “LGBT individuals in Uganda are a vulnerable and marginalized minority, already facing violence and discrimination. If signed by the President, this new law would reinforce stigma and prejudice, and institutionalize discrimination,” said Ravina Shamdasani, spokesperson for the Office of the High Commissioner for Human Rights (OHCHR). Posted January 2nd, 2014 & filed under News.